Journey of a Tibetan: How Penpa Tsering Got Ejected? 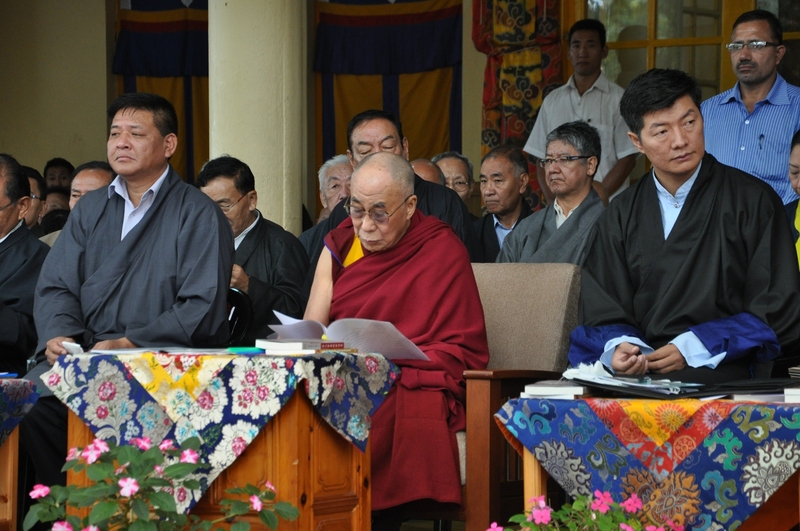 Prior to winning the second term of Sikyong, Lobsang Sangay la's plan was to appoint Ngodup Tsering la as Representative of His Holiness the Dalai Lama to North America. Everything was well planned except something happened at the last moment. That something came from the Private Office of His Holiness the Dalai Lama. Thus, Penpa Tsering la became Representative of His Holiness the Dalai Lama to North America against the will and wishes of Lobsang Sangay la and his Kashag. As the designated Representative, Penpa Tsering la inherited the task of clarifying the findings of annual audit report conducted by Auditor General of Central Tibetan Administration, Dharamsala, India. In the audit report, there is a case where the auditor has raised eyebrows about the cost of business class air ticket for Sikyong which was charged to the sponsor of His Holiness's US visit. This was during Lobsang Sangay la's first term as Sikyong. Please note that though Sikyong visited the US during His Holiness the Dalai Lama's trip, he is not a part of His Holiness's entourage. 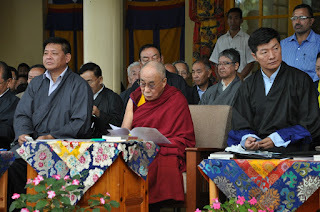 This makes his visit independent and his expenses the responsibility of Central Tibetan Administration, Dharamsala. Penpa Tsering la got stuck in this truth while Lobsang Sangay la needs to clear this one out from the report. When two people with different versions of truth come together, there is bound to have a friction. Now, this friction erupted as an earthquake. At the end, with no explanation from Kashag or its secretariat, Penpa Tsering la was ousted from the post of Representative of His Holiness the Dalai Lama to North America. Did Kashag ousted Penpa Tsering la with due consent from the Private Office of His Holiness the Dalai Lama? Looks like #LobsangSangay is the hero and #PenpaTsering villain after the issues raised. Nobody is talking about #KaydorAukatsang. He is main reason for the present issue. Aukatsang was former representative officer of CTA to North America, before Penpa Tsering. During his term, he had taken a loan around Million $ from #TibetFund. I think those amounts are going to spend for purchase of new office. Now, Penpa Tsering questioning about loan details to #SiKyong which he do not want to answer. The amounts debited in TibetFund account book, but not credited in CTA Representative office at North America. These are visible proof, anyone can ask to TibetFund. I hope this is not true, otherwise SiKyong & Aukartsang will gonna charge for a corruption case.